Remember lovely Terence Jolley (or Terrence Jolley, or The Hon. Terrence Jolley, or “Terry”, depending what mood he’s in) and his friends? The ones who like to gatecrash funerals? If not, my original story is here. All a bit ‘Harold and Maude’. That’s a terrific piece of writing - so well timed in its delivery. And what a fascinating story! I’d say the gatecrashing antics of the Jolley Gang are wrong but mainly harmless, especially if the main things they take are free food and drink. A Leeds United fan from my area died earlier this year and some fellow fans went to the funeral and the wake and the latter turned into what a local paper described as a “30-man mass street brawl which left two men in hospital” which a witness said lasted “all evening”. That didn’t shock me as by local standards it was a small brawl (just double figures) and around here there are things that happen that are far more shocking than brawling in the streets. If you think the story of the Jolley Gang is shocking maybe you’ve led a sheltered life (says a recluse). One has to wonder if the Jolleys will be gatecrashing Mr. MacDonald’s funeral. The final paragraph made me smirk. Really great sequel, I agree with everyone who is saying it’d make an amazing film. I’ve also just (quite easily) found Mr T Jolley’s facebook site. What an oddball. Well, well. VC’s post at the end of last week’s thread had me wondering if Mr Jolley’s crew had struck again. I always say it’s sad when anyone dies (despots and mass murderers excluded) because there will always be someone out there grieving and missing the one who’s passed away. That said, you’ve got to take responsibilty for your own actions in this world and the harsh truth is he shouldn’t have been at the party feasting his face on that canape! I can’t agree with Recluse’s comment about his and Mr Jolley’s actions being mainly harmless. Showing up uninvited to funerals, wakes etc when people are upset and at their most vulnerable seems quite nasty to me. Great column, Victoria, keep up the good work. Peter, I take your point but judging by what has been written the Jolley Gang seem to go to great lengths to get into events and get free food and drink and hope not to be noticed. When they do this they breach social customs but not necessarily any laws. That’s not to say that breaching social customs in this way is right: I’m just suggesting that there are far worse people in this world than the Jolley Gang who seem to be more sad or mad than bad. Some people go to funerals and get back to find the home of the deceased has been burgled. To be pedantic, if someone has an invitation for an event or does not need one are they really “gatecrashers”? I read both articles - brilliant gallows humour. Incidentally where did you get the name Ormerod? Speaking as someone who genuinely did admire your father - I mostly knew of him through his work on Call my Bluff and The News Quiz - but who never met him, I have to say that turning up to his memorial service is the last thing I’d want to do. I’m sure that there were many people there who I’d love to meet. And I’m sure I could have heard many fascinating and entertaining stories about Mr Coren’s life. But even I, riven by autism and social awkwardness as I am, understand that turning up among a bunch of people to whom I’m a stranger, who are there to mourn someone who to them was a flesh and blood person, and not just a voice on the radio, and intruding on their grief with my desire for anecdotes, would be pretty contemptible behavior. Vicky, I’ve been trying to find out more about Terrence Jolley. I’ve found press reports about his conviction for fraud which include comments from his defence and the judge about his motives that aren’t in the Standard’s report and I think they shed some light on his hobby. I think I know which secondary school he went to and when (and I know the area and the era) and the name of a group he seems to have joined (and I’m not talking about a Facebook group) and where else he claims to have been. The more I find out the less surprised I become. In the Obs you said “I am grimly fascinated by this black-comic mob, without understanding their motivations” and “the curious behaviour of others… it’s only ever guesswork in the dark”. Do you want to explore the darkness further? Alan M had a sad life. People who have sad lives do strange things, it doesn’t make them horrible people. Yep, God really does have an ironic sense of humour, (s)he moves in darkly comic (not mysterious) ways. If I didn’t know any better, I would have put money on that story being made up; I’m sure that was a “Tales of the Unexpected” plot. One of the things I like about this story is hearing the sheer intricacy of your extensive plan for revenge when you were setting them up, Vicky. Fantastic. I think I know the identity of the diplomat. If I’m right, then he is indeed a kindly man. I think he goes out of a genuine interest in the people who have died, and those people from the Establishment who attend such gatherings, rather than for free food or drink. This diplomat, if not the others, may be a hanger-on, but he’s a lot more pleasant than, say, the professional autograph collectors who hang around stage doors. Reading RomanticRecluse reminds me why I never read blogs. My only purpose in doing so now is to say, Ms Coren, what an excellent piece of writing your latest column was. Your father would be proud of you. Anyone with any sense of decency (though perhaps not the saints among us) would see Mr McDonald’s demise as truly poetic justice. Good Lord…Seeing this guy…And the lengths they’ll go to for a drink…It almost makes me want to throw a funeral for the poor sods to crash. Romantic - I’m going to have another little rest after the last exertions, so I’ll leave them for a while, but thanks. To some of the other messages: as I said in the second piece, Terence Jolley is the only one that I know, from all the evidence I have, is conniving, deceitful, and un-innocent in all this. I feel sorry for him too - I’m sure a happy person would never get up to what he does - but that isn’t excuse enough for a lot of his behaviour. He lies to the grieving. That’s properly bad. I don’t know enough about the others to know their motivations, and it’s always nice to think the best of people if you can. I don’t even know whether they think of themselves as a conscious collective, or whether Jolley is the only one who considers it as a group activity - he is the one who applied for a large number of tickets to my father’s service - maybe he planned to hand them on with a false story about where they came from. Maybe he told untruths about himself. I can imagine ways in which people might do this innocently, or, if not entirely innocent, that they might think it was harmless. PouletNoir, I am glad to hear you say you think that particular chap is a nice guy. I would like to think so. I would like to think that his motivations were all honourable, that he got caught up in Jolley’s slipstream by accident and knows better now. I am not carrying any resentment towards him. As for Alan MacDonald, whatever his reasons for going to events where he was not invited, he is beyond those earthbound rules now, and I hope he may rest in peace. Beverley, I don’t know what you’re getting at but I’ve been trying to offer a different perspective. I don’t know Terrence Jolley but I know the place he comes from (because one side of my family is from there - the mad side) and what it was like when he was growing up (because I visited them frequently) and from the reports of the fraud trial I’ve read he did what he did to try to escape from that place. I’m not surprised that he was desperate to escape and compared to some other people from the area he is relatively harmless. And compared to my father (who’s from the bad side of my family) he’s an angel. My father should have gone to prison for what he did but he didn’t and that’s a scandal. Terence Jolley does seem like one of life’s more odd & quirky characters. I suspect Victoria Coren is being somewhat modest in her assessment that Mr Jolley made a mistake in picking on her family, when in fact the mistake Mr Jolley made was crossing her. What with her glamour, background, professional lifestyle and bravery, having proved herself in so many ways, VC would have made a super role model for a Lew Grade ITC action adventure series heroine, which often featured casinos, glamorous locations & beautiful women. Unfortunately, for Mr Jolley, Victoria, like Sally from Emmerdale, knows how to nail her man. I have a sense of decency. I don’t think that death is suitable justice for gatecrashing. I come from a rural area and certain people would turn up at every funeral. It’s to do with loneliness, not malice. Alan MacDonald was a nice guy, he had a family who loved him, a 90-year-old mother who depended on him, and it’s sad for his family that his death has provided so much hilarity. The worst you could say about him was that he was lonely. There were official representatives from several embassies at his funeral, who knew him personally and spoke highly of him. He has worked tirelessly on behalf of Chile and Burma. I didn’t realize Alan MacDonald’s mother was still alive - I did check his family records before writing anything and was advised that he did not have parents, a long-term partner or children. I checked the same facts about Maggie Jones, the actress, because I didn’t want to be the person who broke the news to any close relatives that their funeral had been infiltrated, if they didn’t need to know. (I don’t know whether Alan MacDonald attended that one, probably not.). I hope his mother wasn’t disturbed by the article. I did try to question his motives gently and sympathetically, and make clear - I will again - that I know Terence Jolley is not a good person, but I simply don’t know what motivated or motivates any of the other amateur crashers, and am very happy to believe in their better natures. I believe that Mr. MacDonald had not seen Terence Jolley for a while; it’s perfectly possible that he was going along to events believing it was all totally harmless - which, on some types of occasion (not funerals) I think it arguably is - and I hope I didn’t say anything bad about him, other than I can’t help being fascinated by what seems quite odd behaviour to me. But I’m awfully bourgeois. I’m so nervous of being a bad guest, I barely go to things where I AM invited. I don’t think you wrote anything hurtful, I thought you were very dignified in the circumstances. It IS a shame for his poor old Mum - those of us with children have to live with the fact that they don’t always do things that make us proud, even if we like to pretend otherwise. Let’s face, I didn’t always make my parents proud! But gatecrashing funerals is so completely disrespectful. Lack of respect for fellow human beings sadly seems to be more common and acceptable now, as some of the posts here show. Kevin, I think you’re right to say Terrence Jolley is odd and quirky but he is also greedy, vain and incompetent which is why he got caught, he carried on and he will get caught again if he carries on. Gatecrashing book launches, wine-tastings and parties is one thing and funerals another but if I was a former magistrate and convicted fraudster who was given a suspended prison sentence and has a personality disorder I wouldn’t gatecrash some of the places he has and met the type of people he has said he has in one statement he’s posted on the web. He might end up with something bigger than a canape stuck in his throat (or somewhere else) and it might happen more than once. i find it a little extraordinary how many people seem to have a problem with this article. These people are gate-crashing FUNERALS! That is a little more than a minor social faux-pas in my book. It’s a shame when people die in ridiculous ways but I don’t see who is to blame other than the chap involved. He, of course, may not have gate-crashed more solemn events but his associations suggest he probably did. I dont feel one bit sorry for him or any of them, serves them right! It’s VERY sad that they would go to that length just for a drink. You’re all heart, Jenni, you really are. Seriously, I don’t feel any real sympathy for the erstwhile Mr MacDonald. He was out there taking his chances, like the rest of us, and one day he came unstuck. However, there would appear to be a somewhat tragic twist, in respect of his 90 year old mother being left behind. Nevertheless, Mr MacDonald has passed on and one would imagine that the amusement some appear to have enjoyed at the seemingly ironic nature of his demise will soon be forgotten. I would imagine that there are far more enticing possibilities that VC would relish, in respect of any future Jolley gang capers. For example, Mr Jolley inadvertently falling foul of the law and ending up behind bars, would probably be a scenario somewhat to VC’s satisfaction. The whole thing is just very sad. For a start, no parent should ever outlive their child, so whatever anyone may think of Mr MacDonald and this whole scenario, surely sympathy has to be with his 90 year old Mother. But putting his passing aside, why, why WHY would anyone even consider going to such lengths to crash these events?? Are their lives really that empty?? Very, very sad (and in terms of the gatecrashing of funerals and memorial services, sick). Roll on the day when Dignitas offer a deluxe package which includes options for freakish and ironic demises. I found your column today very amusing (no change there) and was intrigued by Mr Jolley. I decided to Google him and the first article I found was about his Underground fraud. At the bottom of the article it said that he has been diagnosed with a personality disorder, which makes a lot of sense. However, is it fair to derive entertainment from the mentally ill, even if their behaviour is very entertaining? And I didn’t really mean to give the impression I find his behaviour very entertaining, either. I think it’s horrible. What an extraordinary story. This is slightly off topic however the last time I heard about anything remotely like this was about 7 years ago. I very clearly remember watching a typical tacky phone-in talk show which was on Spanish t.v. in the middle of the day. They were discussing people who gatecrash weddings. During the discussion a man phoned in to say that he had a compulsion to visit funerals and that he would turn up at many of them, looking at obituaries in the paper and actually organising his life around such events. He told the clearly baffled talk show host that he would try to attend up to 3 a day and that he would cry hysterically throughout the funerals, and attended the wakes afterwards. Jolley’s reasons are more sinister and hurtful, but interesting none the less. Interestingly enough, if you put ‘Terence Jolley’ into yahoo questions it comes up with a rather obvious question/answer set-up that I reckon he wrote himself. It also laughably describes him as a journalist. It’s also possibly libellous towards you Victoria! http://tinyurl.com/6g2wmyl (46-51 minutes in) she visits “the world’s weirdest crybabies at the Loss Club”. It’s as hilarious as it is weird at times and there are members who go to strangers’ funerals although it’s not clear if they are uninvited or unwelcome. Only just read the story of the Jolley Gang (I know only a few years late!) and found it all a bit odd and amusing at the same time. Its a shame that the hoax funeral service for Sir William didnt take place in order catch out and embarrass these sad individuals. 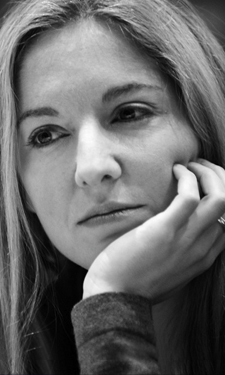 I will in future make more effort to read Victoria Coren’s articles and columns. I use to work for Boots in Barnsley town centre, this man plagued our store with multiple scams and a continuous presence . Ironically everyday he would appear for ‘discounted’ sandwiches as soon as the knew they would be reaching the sell by date. Over £2000 worth of points on his (and his deceased Fathers) Boots card. I once called him out on it only to be called an ‘insolent schoolchild’ at the age of 21. I knew a bit of his back history with fraud but finding this was one of the greatest things I have ever seen through Google. My Mother works in the store too and on multiple occasions he has spoken to her like dirt. No longer I work in retail so I can now say this without fear of ‘social networking rules’ I would love to copy and paste this all over Barnsley town centre. People like this are truly despicable. 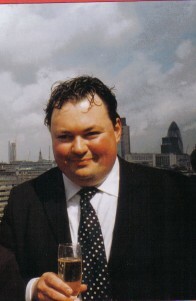 On the London events scene, David Pun’s antics are well documented on The Steeple Times. Just search for him and you’ll see. Thanks for exposing these freeloading blaggers! Keep up the good work. Congratulations Victoria, you’ve inspired someone else to add to the story of this unsavoury bunch of crooks.